In their review of the Nissan Murano, the writers at Edmunds like is “futuristic styling and a roomy, classy interior.” But that’s only the beginning of what’s on offer. Drivers in Surprise can find a number of used Nissan Murano SUVs for sale at Cactus Jack’s in Phoenix, where you may find versions of this model with features like all-wheel drive (AWD), leather upholstery, and a variety of advanced driver assistance features. Explore all your options at our dealership today, or give us a call to find out more! 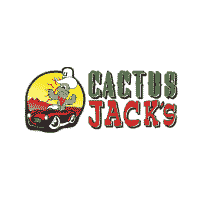 Find out why so many buyers on a budget choose Cactus Jack’s today!